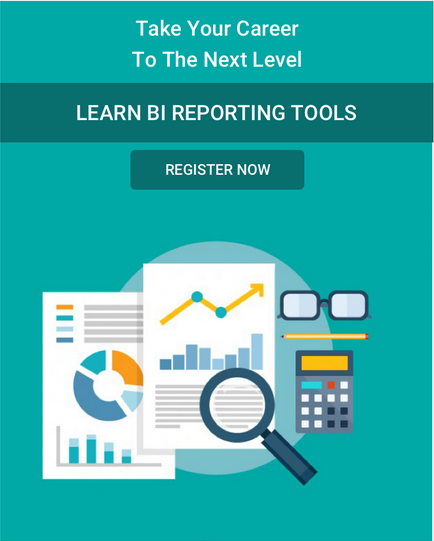 BI Reporting Tools Master Prog. 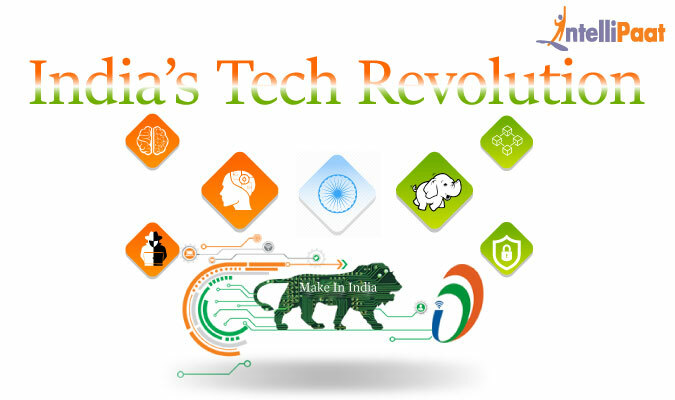 India on the Path to Become a Technology Superpower! “Technology, like art, is a soaring exercise of the human imagination” – Daniel Bell, former Harvard professor. On January 26, 1950, India became a sovereign republic paving the way for the official creation of the biggest democracy on earth. Today, after almost 70 years, India is standing head and shoulders above the comity of nations in every sphere of life and, frankly speaking, India is just getting started. One of the decisive factors of India’s stupendous growth is the steadfast focus on technology by successive governments to help build a nation that today has a burgeoning population of over 1.25 billion and counting. We couldn’t agree more with Daniel Bell, the celebrated Harvard University professor, who aptly quoted that technology is a triumph of human imagination over everything else. So, in this blog post let us take on a journey through India’s exemplary technological evolution and know what it means to you today as a proud citizen of India. Brace yourself for an exhilarating voyage into India’s technological past, present and finally the future. Today, India is a force to be reckoned with in the domain of Information Technology without an iota of doubt. But, it was not always like this. The vision of one of the past Prime Ministers of India, namely, Mr. Rajiv Gandhi paved the way for India’s Personal Computer and Information Technology revolution. Mr. Sam Pitroda, an exemplary technology entrepreneur, policymaker and visionary, laid the foundation for India’s IT revolution under the able leadership of the late Prime Minister Mr. Rajiv Gandhi. After that there was no looking back. There is an anecdote that whenever Indian IT honchos used to go to the United States of America in the 90s, most of the time the investors would ask the question, “Where is India? Is it in Africa?”. A lot of water has flown under the Bandra–Worli sea link since then, and India is today firmly on the technology and IT map of the world. IT today is one of the biggest contributors to the Indian economy and things are getting more exciting, thanks to the vision of the current Prime Minister of India, Mr. Narendra Modi. This is the second IT revolution that India witnessed nearly two decades ago. The mobile phone became the must-have gadget first for the upwardly mobile Indians and, before you knew it, the humble mobile phone had penetrated even the hinterlands of India, connecting this geographically vast and diverse nation unlike any other single technology phenomenon. Then came the smartphone and high-speed wireless internet and, as they say, the rest is history. Today, India boasts of a mobile phone density at par with the developed nations. Smartphone is the tool of choice of the young to browse the internet, book movie tickets, watch their favorite cricket match, do shopping from the comfort of their homes and the list goes on. This revolution involving the ecommerce and the digital payments domains is a little different from the IT and mobile phones domains. Indian startups proactively jumped on the ecommerce and digital payments platform almost at the same time when these sectors were in a fledgling stage in the United States of America. Flipkart in ecommerce and Paytm in digital payments domains are two shining examples of how miracles are bound to happen, when Indian entrepreneurs take the plunge into the world of technology. UIDAI is the Unique Identification Authority of India, wherein the Indian government provides a verifiable 12-digit authentication number to every citizen of India. This helps identify Indian citizens with foolproof biometrics like fingerprints and iris pattern. This way, all social security and welfare programs can be tied to this number and identity so that resource disbursement can be tamperproof and efficient. To come up with such an unprecedented database of over a billion people is no child’s play by any stretch of imagination. This program needed the unwavering support and guidance from Indian IT’s poster boy Mr. Nandan Nilekani of Infosys Technologies. Today, Big Data is everywhere and even the Government of India is adopting and harnessing Big Data in order to simplify its processes and systems. So, Big Data Analytics is being deployed by the Indian government in every sectors such as allocating products and services under the ambit of GST (Goods and Services Tax), ensuring that there is no tax evasion which robs the government exchequer of its precious money, delivering the subsidies and welfare schemes to the rightful recipients and so on. The 2016 decision by the Indian government to demonetize Rs. 500 and Rs. 1,000 currency notes was also a purely Big Data Analytics driven decision. For catching the big fish, when it comes to black money and tax evasion, the Government of India rolled out an elaborate platform completely based on Big Data Analytics which is called Project Insight. Artificial Intelligence (AI) is also experiencing huge acceptance among sectors of the industry. the Indian government is also proactively gearing up to incorporate Artificial Intelligence within its ambit. The Delhi traffic police is planning to use AI for its Intelligent Traffic Management System (ITMS). This system will be a radar-based monitoring technology powered by AI. All the data from sensors, cameras and other equipment will be used to manage the traffic and automate the traffic signals. The aim is to keep human intervention to the minimum. This AI-based technology will predict the traffic based on volume, flow, time and satellite imagery and come up with smart ways to reduce the congestion and improve the overall traffic management. Blockchain is one of the hottest technologies to come our way from a very long time. Blockchain is a distributed ledger technology that is firmly based on cryptograph. Anything that is etched on a Blockchain is permanent and nobody can tamper with it. With such a revolutionary technology, the frontiers of what we can do with it is just limitless. Right now, we are just scratching the surface of what is possible with this awesome technology of Blockchain. Bitcoin is one of the earliest and finest gifts of Blockchain. Bitcoin is a digital currency unlike any fiat currency issued by national governments. Currently, it looks like the Reserve Bank of India, the National Stock Exchange of India and the Indian private-sector banks, like ICICI, Axis and Yes, are very much interested in this technology. Blockchain in the banking and financial sectors can be used for KYC, securing cross-border transactions, improving the efficiency of financial services delivered, lowering the charges incurred for various financial transactions and so on. India’s internal intelligence agency the Intelligence Bureau (IB) and the external intelligence agency, namely, the Research and Analysis Wing (RAW) heavily use ethical hacking and cyber security countermeasures in order to mitigate the threat of terrorism and the anti-national and anti-social elements in order to maintain peace and stability in the country. Though much of the systems and processes of both IB and RAW are shrouded in mystery, it is obvious that these two agencies have been deploying cutting-edge IT solutions and technologies in order to stay one step ahead of the unscrupulous elements. The process of ethical hacking includes ways to get information on the terrorists, tracking their online footprints, getting a track of their digital transactions, locations, IP addresses, communication, accomplices and so on. All this helps the intelligence officials stitch together a compelling story and hopefully predict the future, thanks to the advanced predictive analytics and even the AI-powered decision-making. India is a peace-loving country. But since it shares borders with countries like Pakistan and China, there is always a need to stay vigilant around the clock. India has unresolved border issues with both Pakistan and China, and all this is perennially creating an atmosphere of tension and apprehension at the border. Bringing in high technologies like Artificial Intelligence and Robotics can immensely assist the armed forces in doing their duties properly in a timely fashion. Artificial Intelligence can provide multiple options for the Indian military when it comes to strategic, operational and tactical-level planning. Today, there are huge number of Unmanned Aerial Vehicles (UAV), Unmanned Ground Systems (UGS), Remotely Operated Vehicles (ROV), Unmanned Autonomous Vehicles (UAV), robotic bomb disposal squads and more, which are actively serving the Indian Defence Personnel. The AI-powered robots can be deployed for reconnaissance, surveillance and ammunition delivery tasks. The next level of Artificial Intelligence technology is used in satellite image interpretation for target identification and classification. AI-based Expert Systems can also be used for maintenance and diagnosis of sophisticated weapons like radars and missiles. AI is useful for training purposes by simulating the war environment too. AI is used for missile target range and trajectory analysis for evaluation at kill zones. Heightened use of Robotics is also possible in the extraction of personnel, firing of guns, Anti Improvised Explosive Device and other applications. What does the future hold for India’s technological rise? Many centuries ago, India was called as the land of snake charmers; but today, India is called as the land of Information Technology. IT is the reason India is finding its rightful place in the new world order. IT has helped countless people in India lead a better life. Like we said before, this is just a start. Today, India is one of the youngest countries in the world, where most of the population is technology literate. All this means that there is a huge potential for Indian entrepreneurs, technology enthusiasts and social workers alike to make a difference in a big way. Bridging the gap between the rich and the poor has never been easier, thanks to the power of Information Technology. Today, even the villages of India are well connected to the technology hubs of the country like Bangalore, Hyderabad and other cities. This means that exchange of information, communication, transfer of knowledge and everything else have become that much easier. Internet penetration is starting to improve fast in India, and things will only get better in the future. So, don’t be startled if the next technology innovation comes from the Silicon Valley of India, which is Bangalore. All the essential ingredients for the next major technological blockbuster are right here in India. All it needs is a visionary leader or an entrepreneur to put things in place and the magic will commence instantly. Don’t act surprised if the technological center of gravity of the world shifts from the San Francisco Bay Area in the United States to the Koramangala area of Bangalore in India! How is Intellipaat making a difference to India’s tech ascension? Now that we have a fair idea of how India is growing rapidly in the technological landscape, let us also delve into the need to keep the Indian workforce updated in the latest technology. As we all know that the Indian higher education system needs a major and urgent overhaul, it is time to get things rolling. But it is easier said than done. There is no sync between what is being taught in the technical universities and what is being implemented in the real world. So, all this calls for the unflinching support, patronage and tutelage of a top technology training institute like Intellipaat. Intellipaat has been changing the careers and lives of tens of thousands of professionals in India and elsewhere since its inception. At Intellipaat, it has been clear to us that in order to succeed in your professional career in today’s hypercompetitive digital-first world you need to be on your toes at all times. This means that learning is a constant journey throughout your life. There is an adage which goes like, ‘Yesterday’s hot tech is today’s junk’. Hence, be prepared to embrace the newest technologies with Intellipaat and take your career to dizzying heights. Intellipaat offers industry-designed training courses in over 150 technologies like Big Data Hadoop, Cloud, Business Intelligence, Data Science, Artificial Intelligence, Machine Learning, Blockchain, Cyber Security, Data Analytics and a whole host of technologies. Intellipaat has top-notch academic as well as professional training courses for beginners and experienced professionals aimed at imparting in-depth subject matter expertise and practical knowledge through hand-picked industry-expert trainers. The three modes of training at Intellipaat include: instructor-led online training, self-paced e-learning and corporate training. Intellipaat has the rare distinction of having a marquee list of over 80 corporate clients like Cisco, Wipro, TCS, Ericsson, Genpact, Saint-Gobain and others for exclusive job placements for Intellipaat certified professionals. Intellipaat is totally committed to providing the best technical and professional training that is cost-effective, comprehensive and career oriented. Intellipaat is an e-learning and professional skills training organization for IT developers, administrators and other professionals, established in 2011. In these seven years, since its inception, Intellipaat has gone from strength to strength. Today, Intellipaat is proud to have a growing community of over 600,000 learners from over 35 countries around the world! Previous Salesforce Certification – How it can help you fast-track your career? Next What is Big Data Analytics? Professional Scrum Master is a registered trademark of Scrum.org window.